The guidelines in this site are the result of experience gained from the Center for Inquiry’s sponsorship of hundreds of lectures and debates during the last decade. In order to maximize the attendance and impact of your lecture, we encourage you to follow the directions in this guide. CFI’s campus organizers are available to assist you with any challenges you will face regarding your on-campus lecture or debate. A campus organizer will call you periodically to check on the progress of lecture arrangements. He or she will provide your speaker with airline tickets if necessary. All arrangements regarding the lecture date, topic, honorarium, and travel for the speaker are made by or through the CFI Outreach Department in consultation with the speaker and you, the campus host. The campus organizer you work with must be consulted prior to any changes in these arrangements. Contact a campus organizer by email. It is very important to us that your lecture or debate is a success and that it is well attended, with as few complications as possible. Your reputation, as well as that of the ideals of free inquiry you are trying to advance and defend, may be damaged by a poorly hosted event. In addition, an unsuccessful lecture or debate will make it difficult for CFI and its financial supporters, who make these events possible, to spend resources at your school in the future. On the other hand, well-organized events, especially those that draw large audiences, encourage CFI to sponsor more lectures and debates at your school. The goal of CFI on-campus lectures and debates is to effect change in the academy, by encouraging critical dialogue on issues important to CFI, by exposing religious threats to academic freedom and by confronting the anti-science agenda of other purveyors of nonsense in the academy. CFI lectures and debates also have the goal to effect meaningful, lasting change in society at large, by introducing more people to the ideals advanced by CFI. By hosting a successful lecture, you will begin to affect attitudes on campus.  The lecture or debate you are hosting just may be the event that introduces the next great science educator, opinion maker, humanist or skeptic activist, reporter or politician to the ideas and ideals CFI advances. Hence, conscientious and careful preparation should mark your approach to your on-campus lecture or debate. As the campus host, you are responsible for reading and following this guide. Your responsibilities include arranging local transportation, lodging, meals, and contacting the speaker to arrange the final details of the lecture. In addition, as the campus host, you responsible for all the physical arrangements, including procuring an appropriate room and audio/visual equipment, for publicizing the lecture and ensuring an appropriate turnout for the event. You must also introduce or moderate the lecture. Photos, audio, and videotape of the lecture are highly encouraged because they multiply the effects of the original presentation, and help CFI share lectures and debates on other campuses in the future. You should also think about how you can most effectively use the speaker when he or she is on your campus. If your speaker is spending the night, he or she will have some free time on his or her hands. You should contact the appropriate professors to see if your speaker could address a class on a relevant topic. Before you make the request, however, make sure you have the speaker’s background information and curriculum vitae and that you know in what areas he or she is most expert. This will increase your campus community’s exposure to the freethought, skeptical and humanist ideas that the speaker is defending or promoting, in addition to further publicizing your event and giving the speaker something further to do while he or she is at your school. Another way to expand the impact of your speaker’s visit is to have the speaker interviewed by the college and local press. If you have a conservative newspaper at your campus, contact them, since they will find CFI’s issues compelling, even if they disagree. Most college newspapers desire newsworthy events to cover. An interview is an easy story to write for the reporter, and will help you in making students aware of the upcoming lecture. A reception for the speaker after the lecture is also a good idea. A reception allows the other members of your group to meet with the speaker and to follow up on topics raised in the lecture. Remember to invite your co-sponsors and any donors or donor prospects (coordinate this with the CFI campus organizer). The typical CFI on-campus lecture or debate audience consists of undergraduates from various fields of study. A CFI speaker or debater will usually incorporates fundamental principles in his or her presentation. Therefore, CFI -lectures and debates are generally targeted at undergraduate audiences and are of an introductory nature. Please make sure to advise the CFI campus organizer you’re working with if your target audience at your school differs from this. What Academic Fields do CFI Lectures and Debates Address? What CFI Lecture and Debate Topics are Popular? If you, as campus host, are responsible for the lecture expenses, payment should be made to the speaker or to CFI immediately following the lecture. If prior arrangements have been made with both the speaker and the CFI campus organizer, payment may be sent to CFI after the lecture or debate. Your college administration may require requests for honorarium and expenses to be submitted only after the event has occurred. As campus host, it is your responsibility to contact the CFI campus organizer if there will be a delay in the payment of the honorarium and expenses. As campus host, you will receive a box of CFI literature for distribution prior to the lecture or debate. This will include copies of copies of Philo, Free Inquiry and Skeptical Inquirer, CFI campus membership brochures, Free Inquiry and Skeptical Inquirer brochures, and possibly a CFI On Campus podium signs. On the day of the lecture, a CFI sign should be displayed over the literature table. If possible, place the literature table near the entrance of the lecture hall and have a club member or supporter from your campus stationed there to answer questions. The lecture hall should be large enough to accommodate the expected audience size, but no larger. Be realistic in your projections of the probable audience. Remember, the size of the audience is directly related to your publicity efforts, the name recognition of the speaker, and the timeliness or timelessness of the topic. If possible, reserve another, smaller room in case of an unexpectedly small turnout. It is much better to crowd people into a smaller room than to have a half-empty larger room. Additionally, if provided with folding chairs, set up only two-thirds and leave the rest in reserve. Use the remaining chairs only if the turnout is greater than expected. Thus, if attendance is less than expected, any empty seats are less noticeable. Before the event, brief the members of your affiliate group about the lecture or debate and tell them to have questions ready for the speaker. The first couple of questions during the Q&A are always the most difficult, so if your members have prepared questions ahead of time, this will help to keep the lecture or debate running smoothly. It is important to have members of your group dispersed throughout the crowd. If at all possible, have your members seat themselves in a diamond shaped pattern, with several seated in the front center, several in the middle, (outside) edges, and several in the rear center. If your group is large enough, seat some in the center diamond. The speaker should have a lectern and a microphone. A pitcher of water and a drinking glass should be close at hand for the speaker. A CFI On Campus podium sign should be displayed either behind the speaker or on the lectern. Include a chair for the speaker for him or her to sit in during the introduction and one for the moderator. Make sure to arrive at the lecture several hours before the event to check on room conditions such as appropriate number of chairs available, heat/air conditioning, unlocked door, lighting turned on, audio and visual equipment both set up and working (this includes microphone), etc. As mentioned earlier, photographs of the speaker addressing the audience are of great value to both your organization and to CFI. If at all possible, the lecture should be either audio or video taped. If the lecture is taped, please send a copy to CFI, as this lecture may be made available to other students through the CFI On Campus library, and used in other promotional and educational endeavors of the Center for Inquiry. Your lecture or debate should be widely publicized using newspaper exposure, posters, flyers, tent cards, word of mouth, announcements, and email lists. The press release is another way to have your event advertised by the newspaper without cost to you or your CFI affiliate group. Write, or have someone in your group write, a concise press release stating that your speaker is coming to campus and that the lecture will be of interest to the local campus community. Keep the sentences and paragraphs brief and place the important information in the first part of the press release. You should also submit the press release to the local news media. Local newspapers, radio, and television news programs are always looking for quick, easy stories of local interest. When submitting press releases it is important to deliver the release in person. Talk to a reporter at the newspaper and make sure he is aware of the newsworthiness of the event. Besides posting the flyer in all the appropriate places, you should look at alternate means of placing these flyers in the hands of students. Some schools allow campus groups to use campus mail free of charge to inform students of upcoming events. You should also distribute these flyers in faculty in-boxes, especially the science, religion, politics and psychology faculty, and faculty in departments that deal with the subject matter of the CFI campus lecture or debate. Another means of distribution is to hand out the flyers directly to students; several members of your affiliate group at mealtimes or between classes should stand in heavy traffic areas, such as the student union or dining halls, and distribute flyers directly to students. These are cards that stand up by themselves. Place tent cards in the cafeteria on dining tables. There are likely other groups, clubs or academic societies on your campus that would be interested in the lecture or debate. Contact all allied campus groups, and other campus groups that would be interested in the topic, and appropriate university departments. For instance, a lecture on “The Secular Roots of the American Founding,” contact the history and political science departments, and the Campus Crusade for Christ; for a debate on the theory of evolution, contact both progressive and conservative clubs, the Campus Crusade for Christ and the science and religion departments. By including these groups as co-sponsors, you increase turn-out of interested students and build contacts that may be helpful in the future. Chalkboard. Have members of your group write the essential information about the lecture or debate in the upper right-hand corner of the chalkboard before or after classes. Your professors will probably not erase the announcement, especially if it deals with a topic related to his or her class. If he or she does erase it, most students who arrived before the professor will have already seen the announcement. In-Class. Some professors will give extra credit for attendance at lectures. To take advantage of this opportunity, approach a friendly professor and ask him to make the announcement in his class. Then, after he has agreed, ask other professor to do the same. If a particular department is co-sponsoring the lecture, most faculty members should be open to informing their students about the lecture. Begin the lecture or debate with a brief introduction of yourself, your CFI affiliate group, and CFI in general, and then give a more extensive introduction of your speaker. Even well-planned planned CFI lectures and debates can run into problems. Questions. Unfortunately, there are some people (both students and faculty) who think that they are the final authority on the kinds of topics important to CFI. These people ask long-winded questions, seemingly only to hear themselves speak. If such a questioner begins to give a speech, cut him off by asking “Do you have a question for the speaker?” If he or she persists in making statements or comments, apologetically interrupt by saying that the students have come to hear the speaker, not to hear him or her, and quickly recognize another questioner. Congratulate yourself! If you followed the steps outlined in this guide, and were receptive to the help and direction provided by CFI staff (and if there were no major glitches) your debate or lecture was a success! Write a brief half-page summary of the event, including any problems and suggestions for improvement, and send that along with pictures, recordings, and the names of the leaders of your group and/or faculty sponsors, to a CFI campus coordinator.